Multimode armored cables are with flexible steel tubes inside the outer jacket as the armor, which protect the fiber glass inside. We supply 62.5/125 multimode armored patch cables and 50/125 multimode armored patch cables. The multimode armored patch cables retain all the features of standard multimode patch cables, but they are much stronger. They are widely used in many fields such as CATV, data storage, local area networks, telecommunication networks, and premise installations. 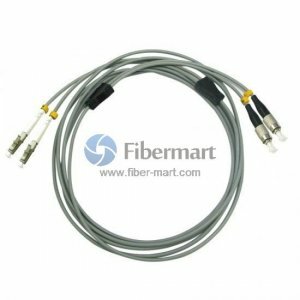 Our multimode armored fiber patch cables are available with simplex or duplex.